It is our pleasure to send you the February Edition of ISP Brief, the monthly newsletter of the CSIS International Security Program. ISP Brief features articles and commentary written by our scholars, their analysis as published in various media sources (including video and audio highlights), and links to recent events. We hope the newsletter provides you, our readers, a snapshot of the excellent work underway in ISP, and the engaging thoughts of our experts. As always, your feedback is welcome. READ "Science, Technology, and U.S. National Security Strategy: Preparing Military Leadership for the Future" by Ray DuBois, CSIS. READ "Focus The Pentagon On Warfighting, Not Kids' Schools and Such" by Mark Cancian, Breaking Defense. READ "What Mattis Needs to Do As Defense Secretary" by Kathleen Hicks, The Cipher Brief. READ "No Radiation Level Changes Outside the Reactors at Fukushima Daiichi" by Sharon Squassoni and Yukari Sekiguchi, CSIS Critical Questions. 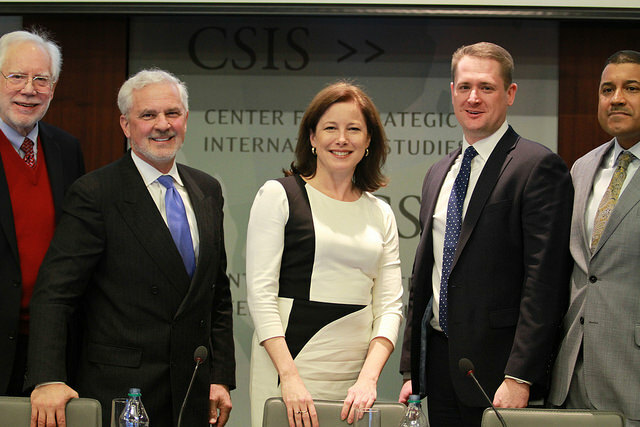 READ "CSIS European Trilateral Track 2 Nuclear Dialogues: 2016 Consensus Statement" by Rebecca Hersman, CSIS International Security Program . READ "Sustaining Alliances in the Face of Renewed Nuclear Threats" by Rebecca Hersman, Frank Miller, and Shanelle Van, Huffington Post. 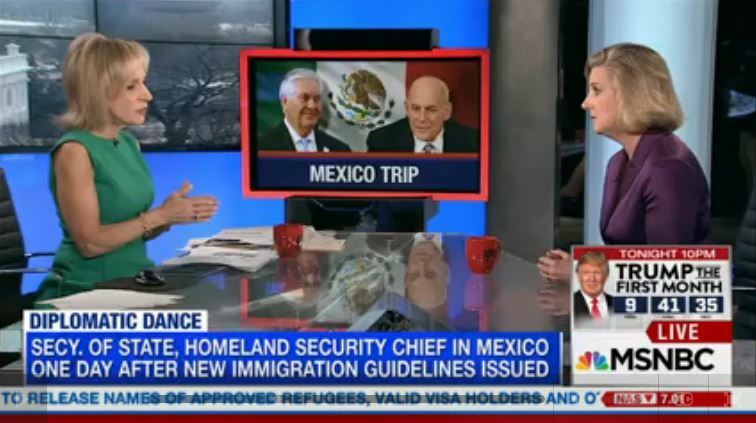 WATCH Christine Wormuth's MSNBC interview on the current status of President Trump's cabinet secretaries and other appointments. WATCH Rebecca Hersman's Defense News interview on the Nuclear Posture Review. WATCH Melissa Dalton testify before the House of Foreign Affairs Committee on how to defeat terrorism in Syria. WATCH Todd Harrison's interview on Government Matters about the FY17 and future budgets. LOOK at Tom Karako's infographic featured in Business Insider Australia illustrating the range of different Chinese missile platforms. WATCH Andrew Hunter's interview with Defense News on how the defense market will change under the new administration. 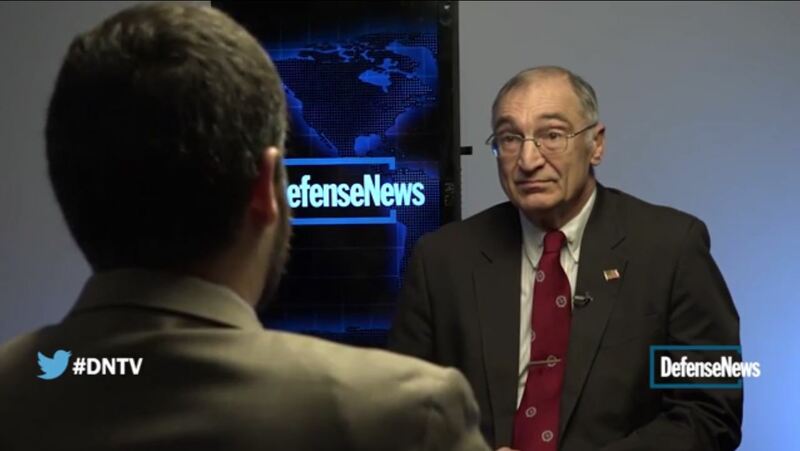 WATCH Mark Cancian on Defense News about the new age of leadership at the Pentagon under President Trump and Secretary Mattis. LOOK at Tom Karako's NATO A2AD tool featured in Small Wars Journal. "That consensus, Hersman explains, is based on tradeoffs that were made by both sides when New START was being negotiated – in essence, nuclear modernization support for treaty support. And indeed, democrats have largely been supportive of the current nuclear modernization plan, much to the delight of defense contractors who are lining up to take advantage of the expected spending spree." - Rebecca Hersman cited in Defense News article "Trump threats to New START could imperil nuclear modernization programs" on February 23, 2017. “There was a concern in the Obama administration that this could lead to a slippery slope...Did the U.S. really want to embroil itself in another protracted conflict that could expose U.S. forces and interests to great risk?” - Melissa Dalton quoted in Huffington Post article "Trump Says Gulf States Will Pay For Syrian Safe Zones. That’s Not The Issue." on February 21, 2017. "There are a lot of ways you could do it cheaper. The way that you buy it from Boeing, the terms that you buy it on can affect the cost, but most importantly, the requirements you put on the aircraft that require additional development and testing and certification, that can add a lot to the cost." - Todd Harrison quoted in Washington Examiner article "Is Trump's claim of Air Force One savings legit? Experts are split" on February 21, 2017. 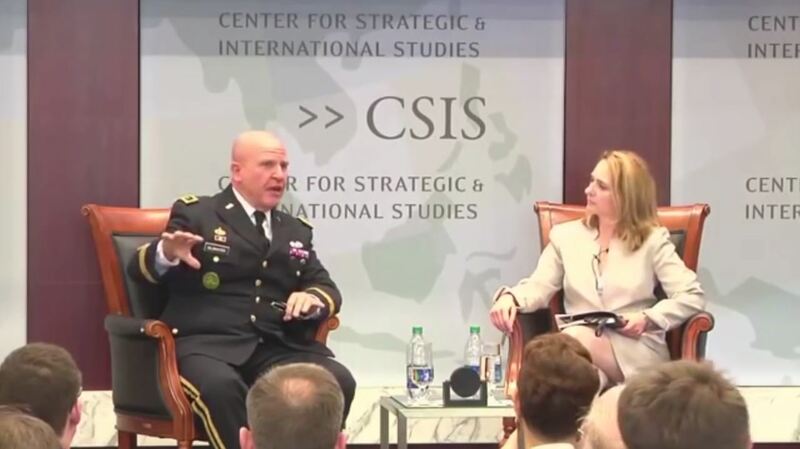 "He doesn't need to be confirmed to be the national security adviser. The president needs the advice and consent of the Senate to move him as a three star." - Mark Cancian quoted in Washington Examiner article "McMaster needs Senate confirmation to keep rank as national security adviser" on February 21, 2017. 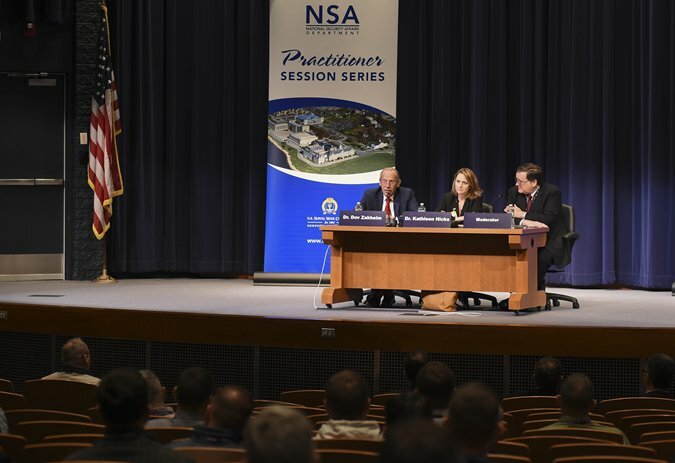 "Each of the last five administrations have had a space-based sensor layer as a critical component of its missile defense architecture on paper. But it’s never gone beyond that; usually dampened by bigger priorities and shrinking budgets." - Tom Karako cited in Defense News article "A new push for missile defense in space under Trump?" on February 19, 2017. "...the bills introduced on Thursday may have been a way for Republicans to convey that “they want to get Russia back in compliance so here are the kind of things that we propose doing." - Tom Karako cited in PBS Newshour article "Republican bills counter Russia's apparent violation of nuclear arms treaty" on February 18, 2017. “It’s a high likelihood that they put it in OCO so that they won’t have to renegotiate the budget deal, which opens a can of worms.” - Todd Harrison quoted in Politico article "Trump's military build-up to spark GOP civil war" on February 15, 2017. "[The US just doesn't] have enough interceptors to sit and play catch with everything that North Korea can throw. US and allied missile defenses could likely absorb a first wave, but there would need to be coordination with strike forces to start knocking out North Korea’s missiles out before they could be launched." - Ian Williams quoted in article "Experts say missile defense alone won't save us from the growing North Korean nuclear threat" in Business Insider on February 14, 2017. "Every administration is tested early in its tenure. This may be one of the early tests, but it won't be the last." - Tom Karako quoted in Voice of America article "Trump Calls North Korea 'Big Problem' Following Missile Launch" on February 13, 2017. “This weekend’s launch is part of a larger pattern of aggressive testing that confirms the North’s intent to produce more capable, more lethal and more survivable systems.” - Tom Karako quoted in The New York Times article "North Korea Claims Progress on Long-Range Goal With Missile Test" on February 13, 2017. 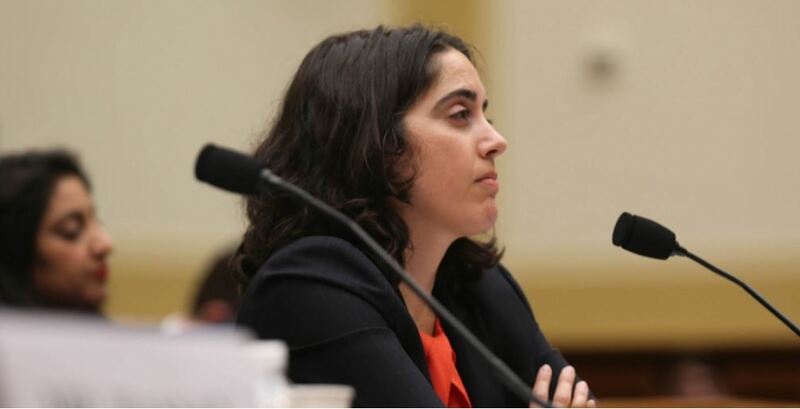 "'Unanswerable right now,' advised Kathleen Hicks, a Pentagon official under President Barack Obama and now a senior vice president at the Center for Strategic and International Studies in Washington. 'They’re smartest to have multiple points of entry. Backups to backups. '” - Kathleen Hicks cited in The New York Times article "World’s Diplomats, Seeking a Bridge to Trump, Look to Haley" on February 12, 2017. "...she would be surprised to see 'major changes' to the nuclear posture. At the same time, there will probably be some tweaks as the new administration seeks to “comfortably own the decisions they have to carry forward on modernization and the rest of the portfolio.” - Rebecca Hersman cited in Defense News article "Trump's nuclear options: Upcoming review casts a wide net" on February 8, 2017. "Some areas of the program still on the to-do list in which Trump could make a measurable impact include securing additional funding for testing and development, as well as the question of who pays for the retrofit of already-purchased aircraft once testing is complete." - Andrew Hunter cited in Washington Examiner article "The upside to Trump's dubious claims about defense industry savings" on February 6, 2017. "Kathleen Hicks, who served as the U.S. Department of Defense director for policy planning in the Obama administration, told VOA that 'it looks very unlikely' that the Kim Jong Un regime would step away from its nuclear arsenal without regime change." - Kathleen Hicks referenced in Voice of America article "Trump Reviews Policy on North Korea Amid Talk of Regime Change" on February 3, 2017. 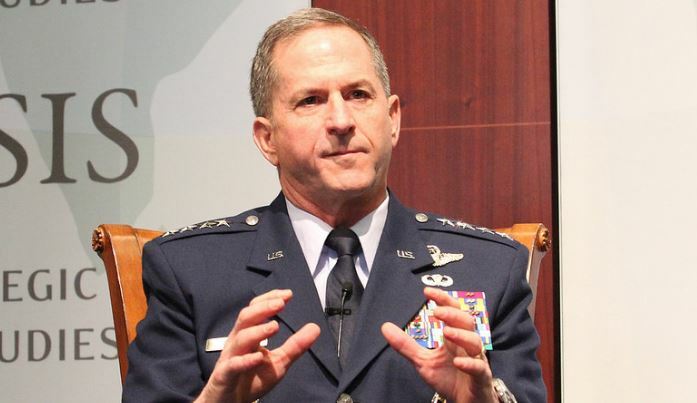 "Space is particularly important because our military strategy calls for us to play an away game, so we need global power projection forces. When you’re operating forces over long distances, you need support systems that can also operate over long distances, and that’s what space does for the U.S. military." - Todd Harrison featured in The Cipher Brief interview "How to Deter New Space Threats" on February 3, 2017. “The Trump administration could increase nuclear instability either by antagonizing countries like Russia or China...By taking a more aggressive stance, by putting nuclear forces, by increasing the alert status, by creating fears that the United States won't come to the aid of its allies.” - Sharon Squassoni quoted in article "Experts don't know what to expect from Trump when it comes to our nuclear arsenal" in Circa on February 2, 2017. "A legal decision would only affect the price of LRIP 9. If Lockheed filed for equitable adjustment, the company would argue the government committed an error in the contract and must pay the company more." - Andrew Hunter cited in Flight Global article "Deadline passes for Lockheed F-35 contract appeal, but options remain" on February 1, 2017. "Todd Harrison, a U.S. defense budget analyst with the Center for Strategic and International Studies, told USNI News today that the budget memo makes clear the department will address capability, capacity and readiness, but that the readiness piece is a top and immediate priority." - Todd Harrison cited in USNI News article "Mattis Budget Guidance Prioritizes Readiness, Previews 2018 Defense Strategy" on February 1, 2017. “Getting a statement of principles out would be relatively easy” but “getting numbers out in that document will be hard because that requires settling on policies for taxes, entitlements, domestic and defense.” - Mark Cancian quoted in Bloomberg piece "Mattis Focuses on Military Readiness, Force Size in Budget Memo" on February 1, 2017. "The Trump administration may focus on getting tougher on China, but if relationships with the other countries in Asia are left to languish, some of them may feel they have no choice but to get closer to Beijing just when the United States needs them the most." - Christine Wormuth cited in Foreign Policy article "What to Watch Out for, Mr. President" on January 24, 2017. Check out our Defense360 series: Transition45 CSIS’s T45 series provides insights and recommendations from our scholars on where change in U.S. defense strategy, forces, operations, and institutions would be most valuable to the nation.